Want to eat better and fight dementia? Consider adding pecans to your meals. Here are three great reasons to include pecans in a brain-boosting diet. The University of Massachusetts Lowell studied pecan's effects on the brain, as described in the article, "Pecans Provide Neurological Protection." Antioxidant-rich pecans were shown to be an exceptionally rich source of of Alzheimer's-fighting antioxidants. Eating pecans along with a variety of fresh fruits, vegetables and wholegrains every day will help ensure a diet high in antioxidants. Pecans provide neurological protection and are enjoyable on any occasion. An exceptionally rich source of Alzheimer's-fighting antioxidants, natural pecans are available in a variety of ways, from Amazon.com or your local store. These antioxidants are believed to help prevent disease-causing oxidation in cells which has been linked to developing Alzheimer’s Disease and other types of dementia. Pecans are also a smart option when it comes to fighting unhealthy, brain-threatening fat. Clinical research from Harvard University School of Public Health suggests that as nut consumption increases, body fat and overall weight actually decreases. In the Harvard study, people following a weight-loss diet that contained 35 percent of calories from fat, including pecans, were able to keep weight off longer than people following a traditionally recommended lower fat diet. Nuts are a part of most universally accepted balanced diets, such as the "Mediterranean Diet," which includes fish, poultry, vegetables, fresh and dried fruit, nuts, grains, olives and olive oil. The Mediterranean Diet has the reputation of being the best way of eating to lower the risk of Alzheimer's. Try this Mediterranean Chicken-Pecan Salad dish rich in cognition-enhancing saffron and brain-boosting pecans. Pecans may also reduce cholesterol. Research from California’s Loma Linda University and New Mexico State University shows levels of so-called “bad” cholesterol (LDL) drop when pecans are part of a daily diet. Pecans get this cholesterol-lowering ability, in part, from the presence of beta-sitosterol, a natural cholesterol-lowering compound. Eating one-and-a-half ounces of pecans a day (27 to 30 pecan halves), as part of a heart-healthy diet, may even reduce the risk of heart disease. Pecans make a great addition to every meal. 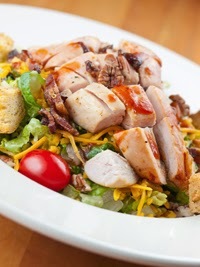 Add them to your morning oatmeal or yogurt, substitute pecans for croutons in lunchtime salads for a flavorful crunch (see our Pecan Salad with Avocado Grapefruit Vinaigrette recipe), or use ground pecans with the seasoning of your choice as delicious breading for meat or fish supper dishes. Any way you chop them, pecans are a tasty addition to just about every recipe! A Wall Street Journal video and article discusses how "Chinese Demand Reshapes U.S. Pecan Business." Pecan prices have risen dramatically due to demand from China, where it has attained a reputation for many benefits, including protecting against Alzheimer's. Antioxidants are well-established promoters of brain health and Alzheimer's prevention. To highlight the antioxidant power of pecans, pecans have been nicknamed the “AntioxiNUT”, as they are the most antioxidant-rich tree nut. They rank in the top 15 highest antioxidant capacity foods. Many brands of pecans have received the American Heart Association’s Heart Check-mark signifying heart healthy status.These include Fisher Pecans and San Saba Pecans. 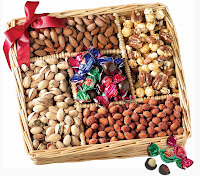 Pecans are a great gourmet present on any occasion. Natural and neuroprotective, they come in attractive baskets or easy-to-enjoy trays. 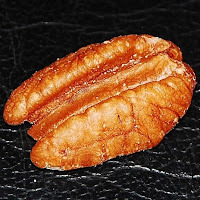 Amazon.com offers a variety of pecan packages , providing dozens of ways to enjoy brain-healthy pecans with family & friends. www.georgiapecans.org - Disclaimer: The Georgia Pecan Commission has no affiliation with Alzheimer's Weekly. The information above is for educational purposes only.